It's Thursday Eve - yay! 2 more days then it is 2 weeks school holidays for us in Victoria - I can't wait to recharge and get my life somewhat organised again! Today we created a Fraction Wall with a Difference. I have done the traditional pen and paper fraction wall in the past, but I needed something a little more hands on! 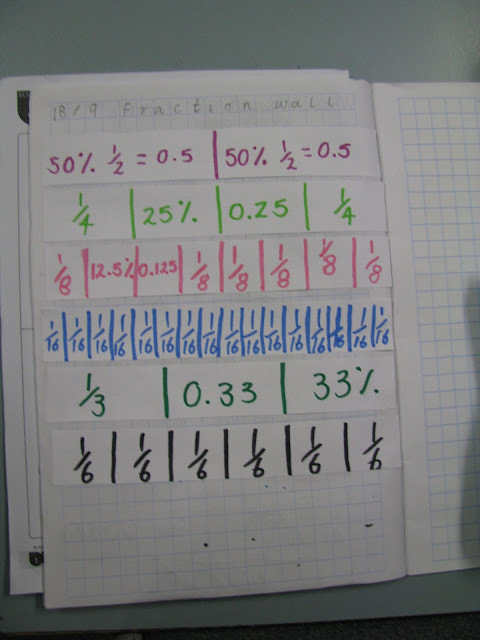 My teaching partner took the top 20 kids for a trickier fraction/decimals/percentages/ratios wall, while I took the benchmark, strategic and intensive children (about 25 - we have a lot already on holidays) where we also created a fraction wall. First, I cut strips of paper for the children and gave each child 6 strips. We worked through working though the idea of "1 whole" then 1/2 and folded the strip in half. Then we did 1/4, 1/8, 1/16 and they really got the pattern! We talked about equivalent fractions and they finally really got it! Then we worked on 1/3 and 1/6 - this was a little trickier! 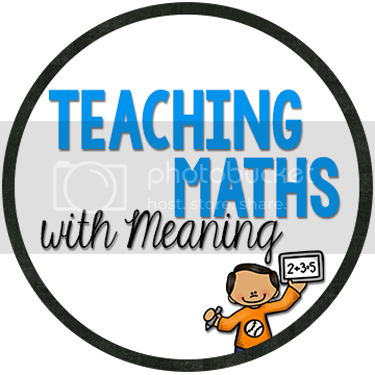 But they still understand that 2/6 equals 1/3 and that is huge for some children! This is the finished product (we didn't work out all the decimals and percentages, I did this for those who were ready - others just wrote the fractions). We used WINK (What I Know Now) as our reflection and joined up with the extension group - it was so good to hear what both groups learnt today. Success, no one was confused at the end! I love lessons like that! Amazing Freebie From Paula's Place - Today Only! LOVE Clipart? Check this Out!